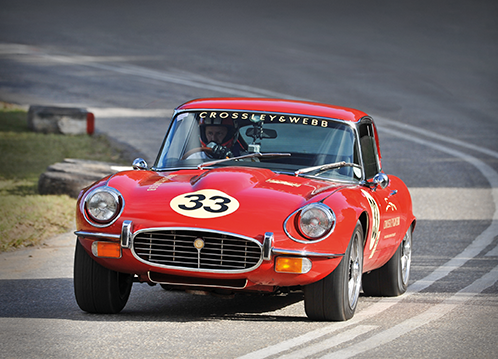 Racing is in their blood, say the Jaguar team. And, just to prove it, they built a race car in the basement of their Pretoria headquarters. Well, that may be a little bit of an oversimplification, but in essence it’s true. They took a previous-generation XJR and – utilising bits sourced from Jaguar Genuine Parts (exactly what your Jag, old or new, would be fitted with at a franchised dealer) and after-hours labour from their in-house technical whizzes – turned it into a car ready to race. Or, to be more specific, a car ready for the sanctioned motorsports event previously called the Simola Hillclimb, which was this year officially rebranded the Jaguar Simola Hillclimb. Over the weekend of 16 May, the event attracted around 120 cars of all descriptions and ages from across the country to race up a tricky 1.9 km course just inland from Knysna. 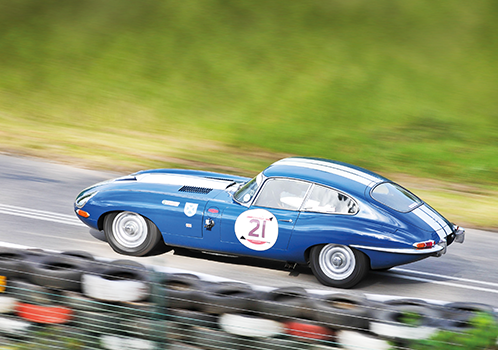 When Jaguar decided to sponsor the hill climb, the idea was born to convert the car into a club racer – initially for the event, but also to continue in a suitable circuit-racing series afterwards, thereby demonstrating that racing is indeed in the company’s blood. Under Rory’s expert guidance, his team stripped the car; removed some of the luxury items that added weight; and installed race-specific hardware such as a reinforcing cage, seat and harness. What didn’t need any modification was the lusty, supercharged 4.2l V8 under the bonnet. 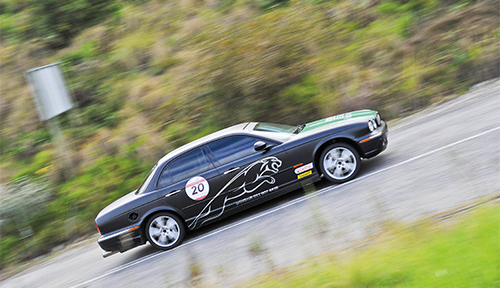 This means the car has a sumpful of Castrol’s finest and the filters – fuel, air and oil – and other service items were all obtained through the Jaguar Genuine Parts network. As a precaution, the wheel bearings and brake pads both front and rear were also replaced. One of the more unusual purchases from Jaguar Genuine Parts was a set of 18” alloy wheels, which replaced the 19” items originally fitted. The smaller diameter was needed to fit the semi-slick racing tyres. With its stunning soundtrack and ability to generate huge clouds of tyre smoke on the starting line, the Black Beast (as it was dubbed) became a firm favourite with the Knysna crowd. The good news is they can look forward to seeing it again – in an even more highly developed form – next year! Owners of older cats can rest assured, knowing they can maintain their cars in shipshape condition by using Jaguar Genuine Parts. All components carry a 12-month, unlimited-distance warranty when bought at and installed by an approved dealer, the advantage being that the necessary workshop expertise is on hand. However, customers are also welcome to purchase from the parts counter and opt for DIY fitment, in which case they receive a six-month, unlimited-kilometre warranty. Visit www.jaguargenuineparts.co.za to find out more.